Located almost exactly in the center of the largest of the contiguous 48 states, the Texas Hill Country is fast becoming one of the worst kept “secret places” in the American Southwest. Long prized by Texans in search of the perfect getaway spot, this land of stunning blue skies looking down on a rolling countryside studded with oak trees, limestone bluffs and a vast array of wildlife. While two of the states’ more beautiful cities, Austin and San Antonio, anchor this Texas gem; the heart of the Hill Country lies in its small towns. And Fredericksburg, Texas, lies smack-dab in the middle of that heart. Fredericksburg was established in the mid-1800s by German immigrants looking for –and certainly finding—land that was both beautiful and productive. You can still find farmers and ranchers doing a thriving business in this gem-within-a-gem, but the small city is best known to visitors as the place to stay and relax while touring this wonderful part of Texas. Featuring accommodations and fine dining that please the most finicky vacationer, Fredericksburg also has Main Street and some of the finest artisanal shops to be found anywhere. These one-off stores showcase the superb work of Hill Country designers, artists and craftsmen that have come to this picturesque country to practice and pursue their various—and, again, diverse—callings. Barrel Designs is one of the finer examples of this Hill Country aesthetic. Their singular furniture and accessories, crafted from seasoned oak wine barrels, are designed to fit any décor as well as add a polished accent to any setting. More on this later. Tyson and Genine Gilbert, owners, designers and builders of Barrel Designs furnishings, have what might be the perfect backgrounds for their art. Ty is a former rancher, now running his own land-reclamation company. He has also been creating and crafting custom furniture for over two decades, and this erstwhile hobby is now half of a blossoming business. Genine comes to Barrel Designs with an extensive background in the wine industry. Although she is modest about her accomplishments, she is very knowledgeable on many aspects of the business, from production to pouring. Her passionate interest in this most ancient of arts, oenology or winemaking, combined with a perceptive eye for design and a driving personality, round out this creative husband-and-wife duo. Ty and Genine work, literally, out of their home, which is, of course, nestled in the Hill Country amid all its natural amenities. A large shop has been added to their cluster of outbuildings that service Ty’s land business and it’s been outfitted with sometimes-custom adapted tools. When she’s not taking and active hand in the work, Genine oversees (Ty might choose, laughingly, another word) the careful crafting of their wares, one piece at a time. Brainstorming between the two of them produces ideas so fast that even their dogged web page designer can’t keep up with their new ideas and products. And now on to those creations, where all the expertise and craftsmanship come together. Larger Barrel Designs pieces serve as accents to enhance any décor and, of course, can be grouped—and can include accessories, above—to offer a distinctive design centerpiece. Keeping the wine theme in mind, Ty and Genine offer a selection of Tasting Tables, Tasting Stools, Steward Seats (which also serve as unique and distinctive bar-and-or-counter seating), Sommelier Chairs (a luxury sized chair heavy on comfort), Wine Glass Racks and a freestanding Wine Rack that is a true thing of beauty. An assortment of Coffee, Side and Sofa Tables, Kitchen Pot Racks and display Easels (to feature fine art, stained glass or for use in creating your own art) add to their ever-growing line of furnishings. 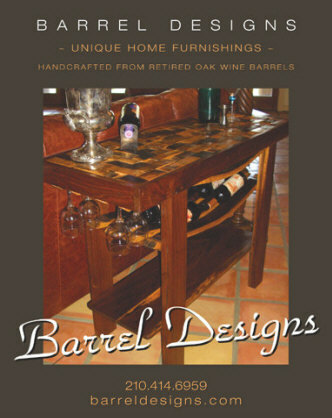 Barrel Designs also welcomes the opportunity to bring your ideas to life through custom orders. Although Barrel Designs is something of a fledgling business—it began in the late fall of 2004—it has quickly proved to be a very well received enterprise. Several Hill Country stores—notably Fredericksburg Interiors, The Lincoln Street Wine Market, and Becker Vineyards—already carry their pieces and Ty and Genine have just added The Banyan Tree in Islamorada, Florida to their list of latest retail locations. Barrel Designs also appears at a variety of note-able art show and wine festivals throughout Texas. So: Give yourself a treat, a getaway, a relaxing couple of days in the Texas Hill Country and give your home an added dash of graceful distinction with a ‘working’ work of art from Barrel Designs. After living fifteen years in the beautiful Texas Hill Country, the chickens have come home to roost. 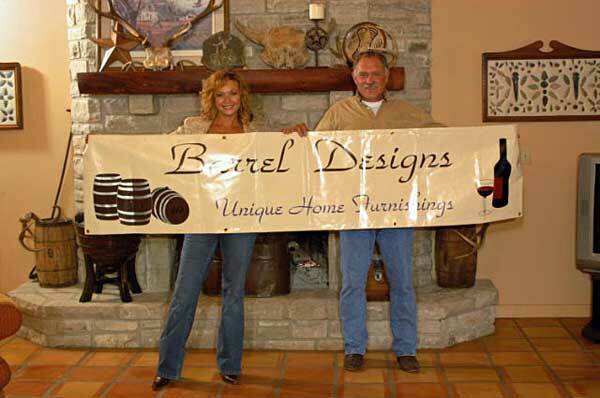 Tyson and Genine Gilbert, Owners, Founders and Creators of Barrel Designs, have moved back to Kansas. Both, originally from Kansas, have returned home for a more active role in grand parenting! They have built a new home and a new production facility in North East Kansas and are turning out more furniture than ever. Georgetown Winery, 715 South Main St, Georgetown TX. Barrel Designs will be appearing at different venues through out Kansas, Oklahoma, Colorado, Nebraska, Missouri and Texas. While their sales have expanded to include corporate gifts and wholesale markets. 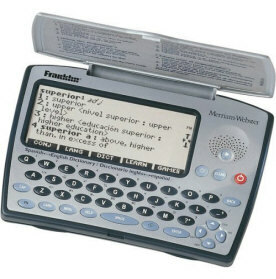 Customers can still find a variety of products for sale, individually, on line. Custom items make up a big part of the business at Barrel Designs, so don’t be afraid to contact them with a special request. Furnishings and accessories can be modified or created to meet specific needs and space. Barrel Designs continues to produce high quality home furnishings and accessories from retired oak wine barrels and quality hardwoods. Furniture you can pass down, not toss out. Structurally sound, aesthetically appealing and highly functional.